Keep track of your terms. 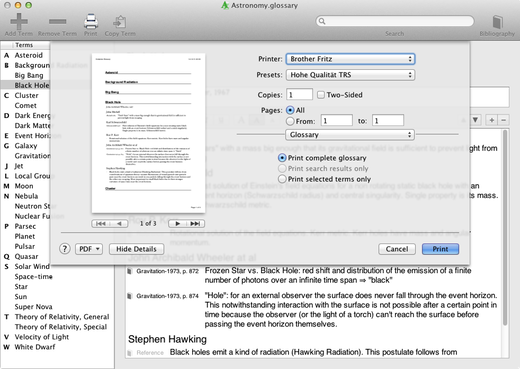 Create a glossary. Enter informations from different sources about a term in a structured way without having to fiddle with font settings. Search. Print. With Glossary you can focus on the essentials: the content. 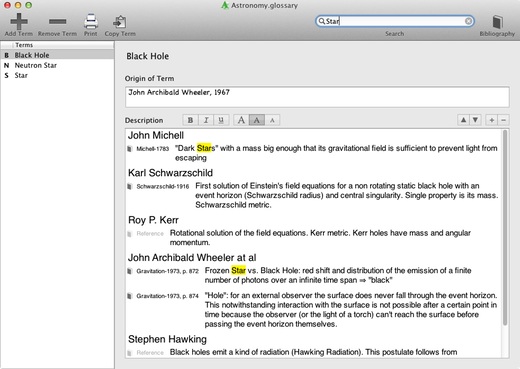 You can enter descriptions of several authors and sources in a structured way for each term. So you won't loose track of you footnotes later. Retrieving information should be easy. The list of terms gets filtered as you type when doing a full text search to only show the terms containing the search term while the hits in the description of the selected term get highlighted. No need to fiddle with font settings when you want to focus on your content! Copy and paste as you like. 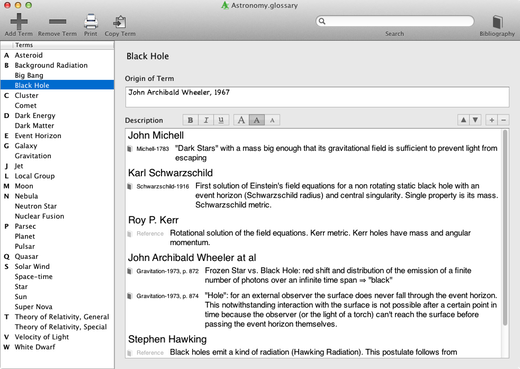 Glossary automatically matches the font intelligently. 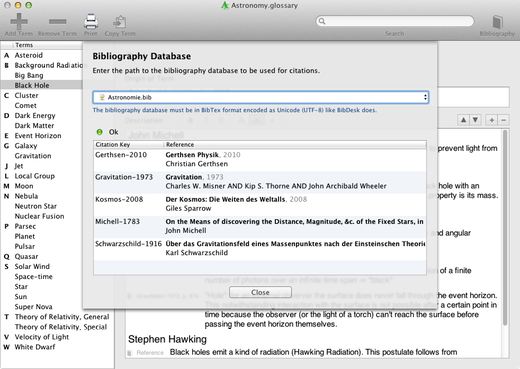 You may attach Glossary to a bibliography in BibTeX format (like those created by BibDesk), so that you do not have to maintain your sources twice. Of course you can print your glossaries in case you need them on paper. 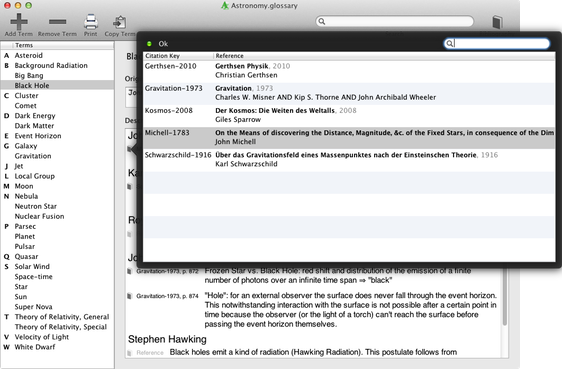 You can print the complete glossary or just a selection of terms or the terms found by a search.